Your mission is to make a difference in developing your students, and our mission is to help you do it. That's why we've developed a Grant Writing Guide - to ensure your students receive all the necessary tools and supplies to ensure their success, using funding from all available sources. 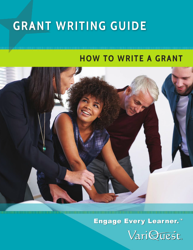 Fill out this form to View and Download the Grant Writing Guide!